SEATTLE, Wash. – “Harness the Power of Big Data” proclaimed the signs throughout the InterContinental Berlin. Close to 500 attendees from leading airlines, air travel and trade experts the world over came to Germany’s capital for the International Air Transport Association (IATA) Aviation Data Symposium, June 19-20. Everyone wants to know how to leverage the vast amount of data generated on an aircraft. APiJET believes it has a key solution. A demonstration proved its point. APiJET offered a case study in improving operational efficiency at a luncheon on day two of the symposium. APiJET Chief Executive Officer John Schramm and Chief Commercial Officer Tom Gibbons spoke about their new software-based data service, a joint venture between Aviation Partners and iJet Technologies. They put it to the test by conducting a live demonstration, showcasing launch customer Icelandair. It has fully deployed APiJET’s data service across its full fleet of Boeing 757-200s, 757-300s and 767-300ERs. It will be on the airline’s new 737 MAX when it enters service this year. The aviation industry understands the value of face-to-face connections. APiJET experienced this benefit at Aircraft Commerce’s MRO/Flight Ops IT Conference in Amsterdam, June 5-6. Proprietary APiJET business-logic modules called Actors™ analyze real-time data on the aircraft and convert it into critical information that people can act on in real time. 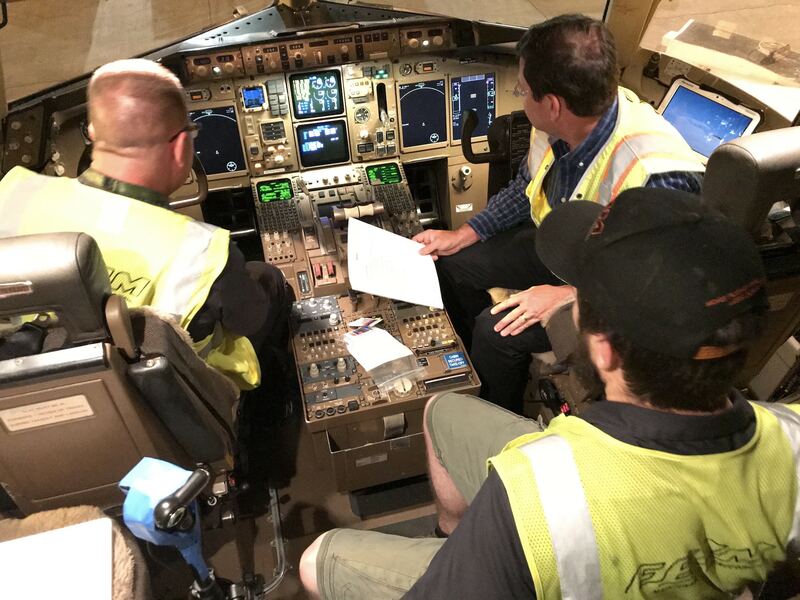 Actors apply logic to know when and how to deliver data from the aircraft to applications that alert the right people as needed across operations: ground, flight, maintenance, administration and even finance. Actors create a configurable feedback loop between ground analytics and the aircraft. Data transforms into insight and, using APiJET or third-party applications, is presented to the people who need it. APiJET’s open-architecture platform runs on a variety of on-aircraft server hardware, ingests data in multiple formats, runs APiJET Actor analytics and accesses any available IP communication link. The offboard data platform aggregates aircraft data, connects to ground-based applications and analytics via standard APIs, and integrates with corporate backend systems. This data and application open platform positions APiJET for maximum responsiveness to airlines when third-party partners present solutions ripe for integration any airline requires.